What does your name mean? Where did you grow up or what are your roots? My name is a pseudonym for my real name. It means Wisdom, I am Haitian, Jamaican, Native American. I grew up In Beaufort,SC. Did you start out writing poetry or stories? What is your favourite poem that you've written? I started out writing poetry in high school. My favorite poem was. CAN ANYBODY SEE ME? How did your time in Bosnia with the Army really influence your life? How did your perspective change after your time there? My time in Bosnia and the Army made me see that life is precious and that we must embrace the difference people. I grew up and by the time i was 23 years old, I understand and appreciated what life what really meant. What are some of your favourite ways to try and incorporate your real-life experiences into your books? I changed the name of towns and the people. 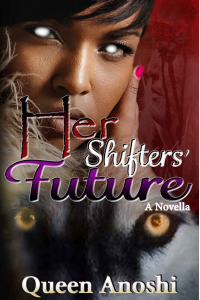 Are there any under-represented groups or ideas that you talk about in your book "Her Shifters' Future"? I talk about Native Americans as well as people who have the ability to see into the future. 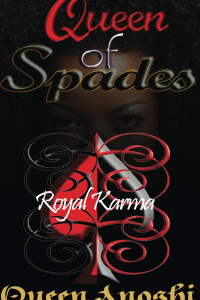 What do you like best about writing paranormal romance that you wouldn't get writing other genres? What made you come up with the idea of a "Futurivoyant" (Her Shifters' Future) and would you ever want that power? 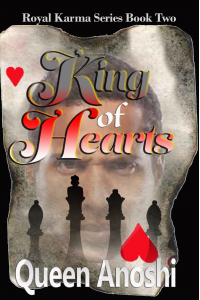 I love writing paranormal romance because you can have fun with it. It does have to complete make sense. I making love available for everyone even if they are vampires or shifters. A futurivoyant is special because their gift is really to save lives that name just popped into my head when I was writing. They have been given the gift to see a person last breath to allow them to make different choices. I don't think that I could handle that gift. It would be to much for my mind. 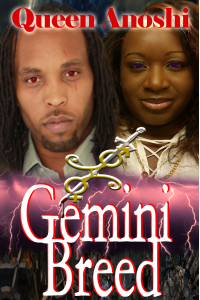 What inspired you to add Haitian components (and even write in that language) to the book "Gemini Breed"? Is this a story you yourself would enjoy if you didn't write it? I wanted to embrace part of my heritage when i wrote Gemini Breed. I wanted to show the uniqueness of the language and the beauty of the people. Why did you choose to make your female protagonist older than the male lead in "Can I Keep You In Mind"? Why do you think there is so much stigma associated with an older woman dating a younger man? I wanted her to be older to get the point across that she learned a great deal about love from someone who she should have been teaching. The stigma is that men mature slower than women and that when you date a younger man you are looking for trouble because you will be like their mothers. I wanted to show that although I don't think about dating a younger man. I have meet a lot of younger people who are way more adapted to life than older people are. Are you a lover of HEAs? 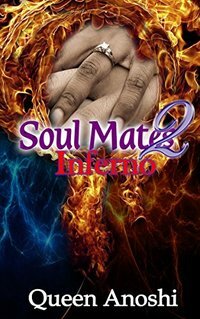 What kind of ending does "Soul Mates: Meeting of Twin Flames" have? Do you think that if this was real life, that the story would've ended the same way? I don't think everything ends in Happily ever after, I allowed this particular book to do so because i knew eventually I would come up with another part to the drama. 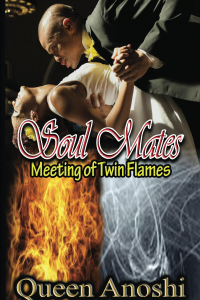 Soul Mates: Meeting of Twin Flames had a happy cliff hanger. It made you want to know what was going to happen after the rainbow. I think that there are happy endings. This story has a lot of truth in it. Being a writer, what are some of the most annoying stereotypes you hear about your line of work? Annoying stereotypes: That we should write everyday. That we are English majors(laughing). That we make tons of money from writing. When was the most fun you've had writing a book? When did you feel most stressed out? I have the most fun when I am writing. i love to play with it and just write whatever comes up. I don't let writing get me stressed because then it is no longer fun and I wouldn't want to do it. Are you more of a coffee or tea person? I love all kinds of teas. If I drink coffee I will not sit still. Would you rather lose all the books you've written in a house-fire or lose your collection of books by other authors? I don't keep my books on my hard drive, they are saved on the cloud and emailed to myself. So I guess other authors because i have some rather old books that inspire me. 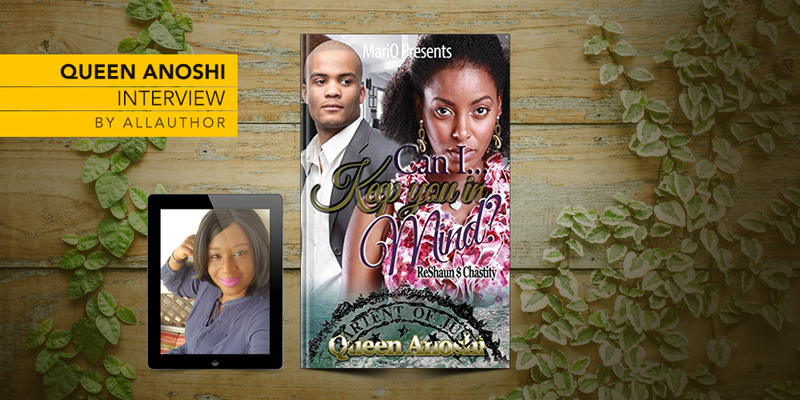 Haitian, Jamaican, and Native American, Queen Anoshi embraces her heritage and tries to showcase them in her books. Her name is a pseudonym of her real name, meaning 'wisdom' and she grew up in Beaufort, SC. 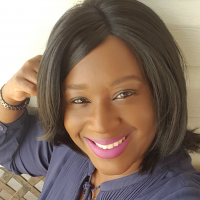 She started out writing poetry in high school and has since grown to love writing paranormal romance because you can have fun with it. She says she has the most fun when she is writing and doesn't let writing get her stressed because then it is no longer fun and she wouldn't want to do it.